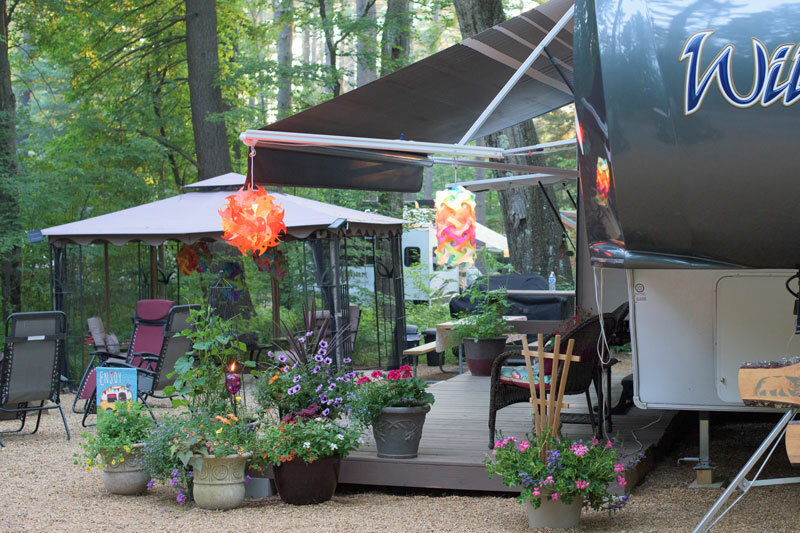 Site choices range from tent camping in our secluded wilderness area to premium full-hookup sites right on the waterfront. Big rig friendly! Our services include Water, Sewer, Electric, Cable, and WiFi. For campers looking to stay in the main area of the park, choose from a selection of Choice, Preferred and Premium sites. 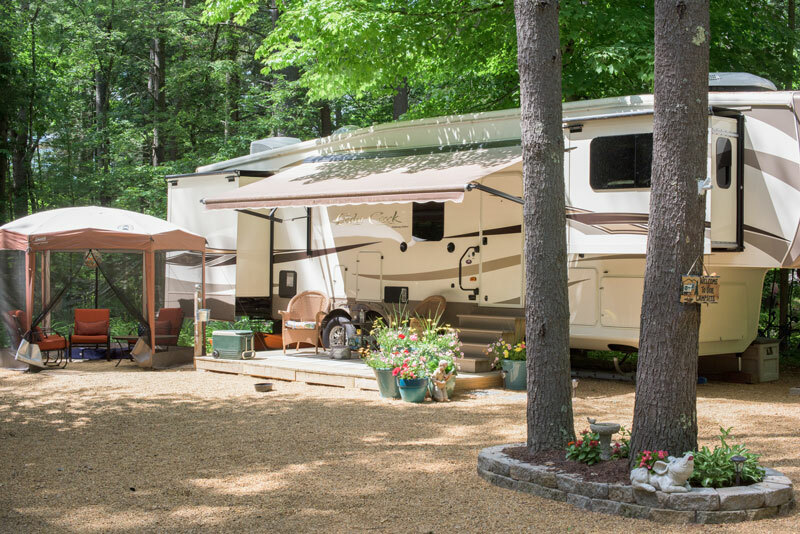 Each site includes a designated parking area for RV or camping equipment, water hook-up, picnic table, fire-pit and vehicle parking. Additionally, they offer a minimum 30-amp electric hook-up. Most include a sanitation tie-in and cable TV. 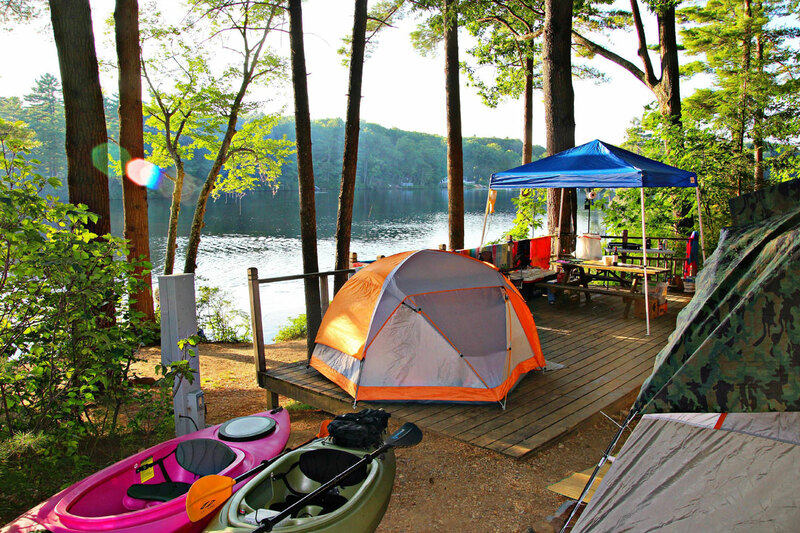 Campsites are rented with a 2-night minimum (subject to general reservation open dates). Holiday rates/minimum stays apply. Choice Sites are located within close proximity to the center of the park and just a short walk from the main beach. Preferred Sites are located within close proximity of the lake and just a short walk to the center of the park. 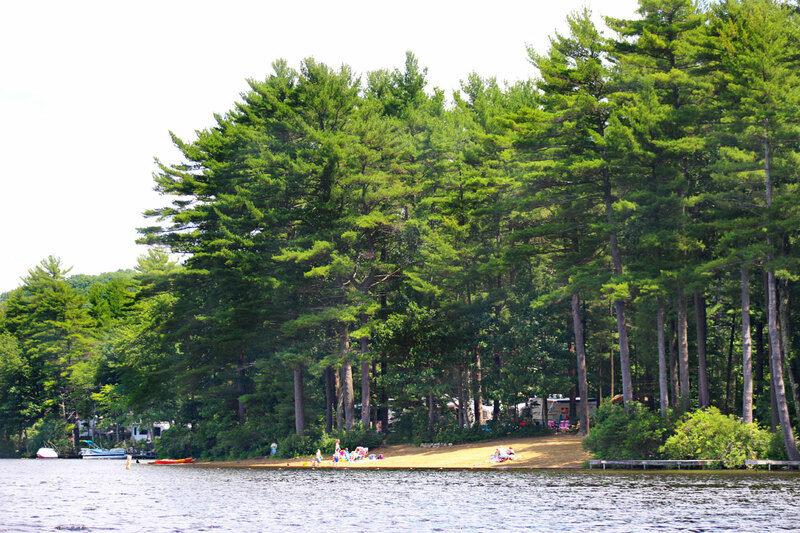 Premium Sites are located waterside with a beautiful view of our 70-acre lake. 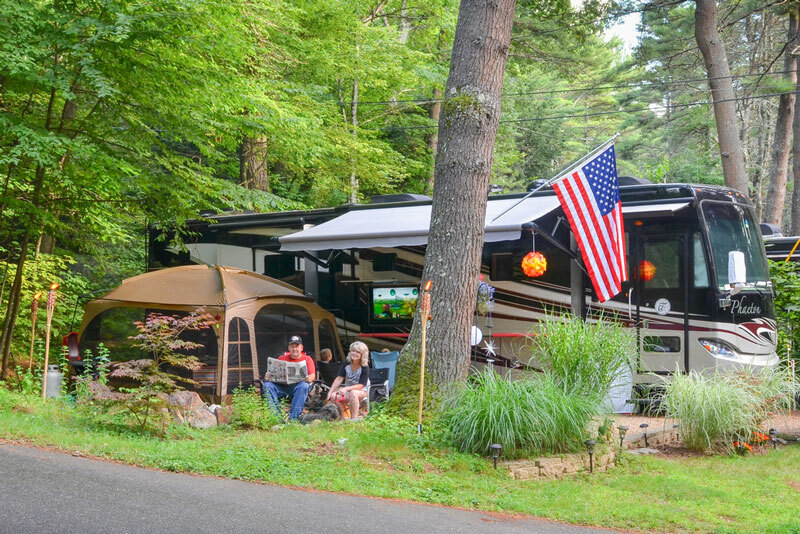 Choose from a) the main waterfront area where each site offers a paver patio or deck and adirondack chairs or b) enjoy our secluded waterfront peninsula with only five tenting sites sitting directly on the the lake. 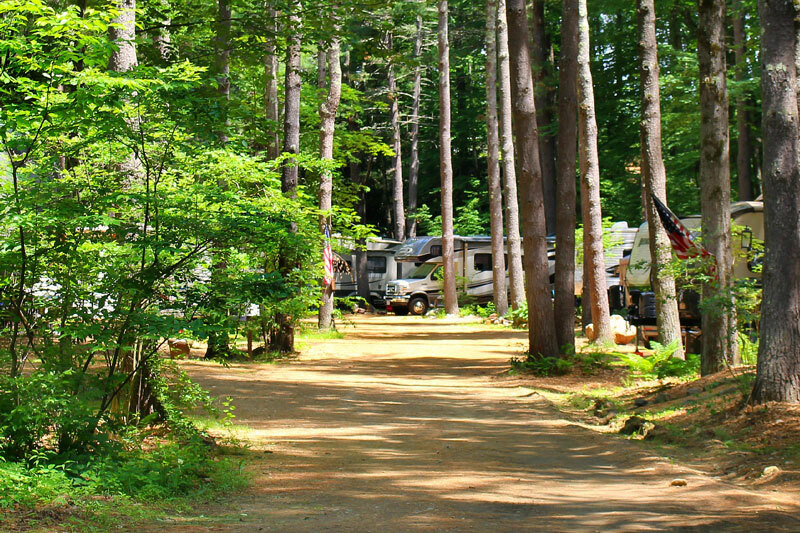 For campers looking to experience all that nature has to offer, our Wilderness Tenting sites are the perfect choice. 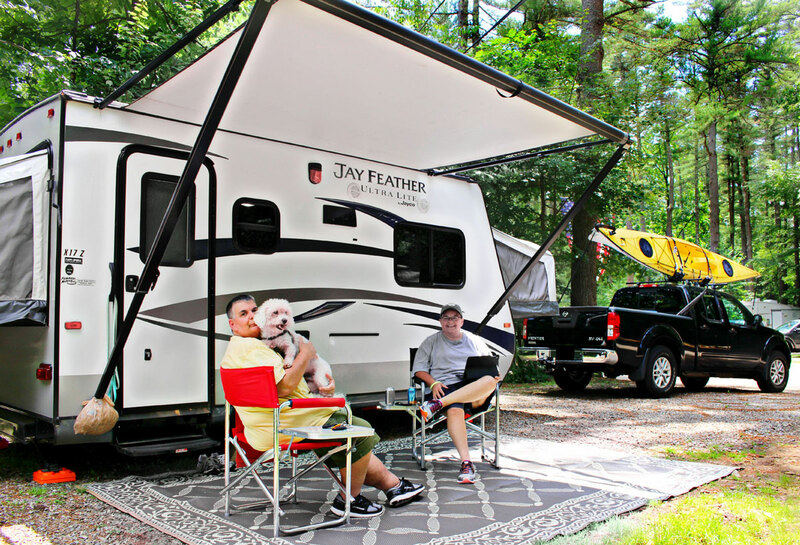 Each site includes an area for tent setup, water hook-up, picnic table, fire-pit and vehicle parking. Designated wilderness sites also have electric hook-ups. All sites have easy access to restrooms and showers. Located within walking distance to the center of the park. Please note – Wilderness area is comprised of gravel roads which are not suitable for biking. 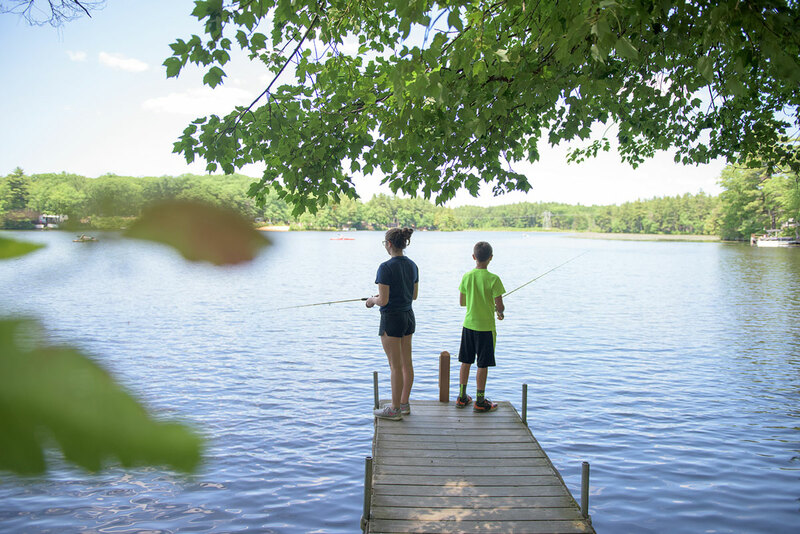 Inquiries about becoming a seasonal camper at Pine Acres can be made in-person or by contacting the main office via phone or e-mail. 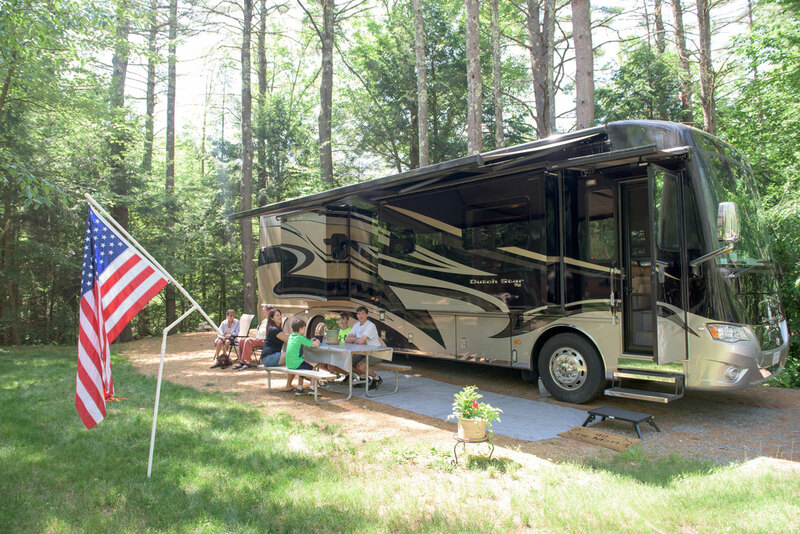 2019 Seasonal Rates start at $5,750. A valid driver’s license and credit card (for incidentals) in the name of the reservation are required at check-in. 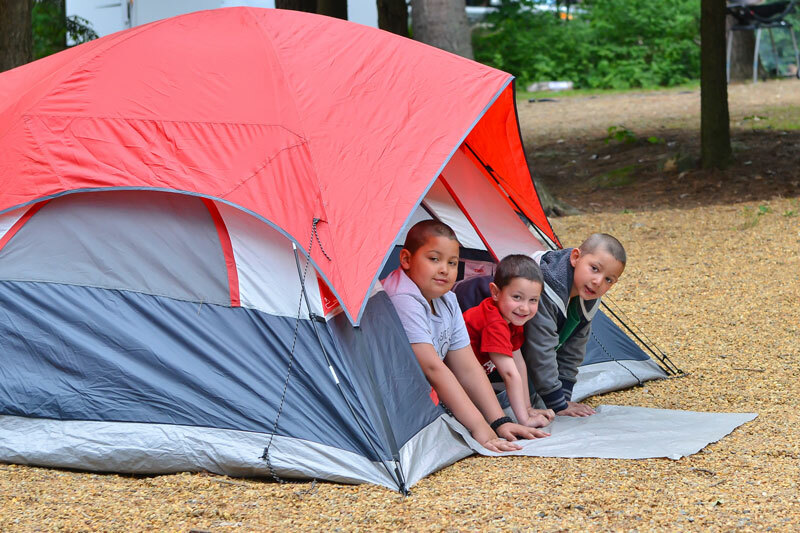 OVERNIGHT site occupancy is limited to ONE camping family (1 or 2 adults and their minor children). 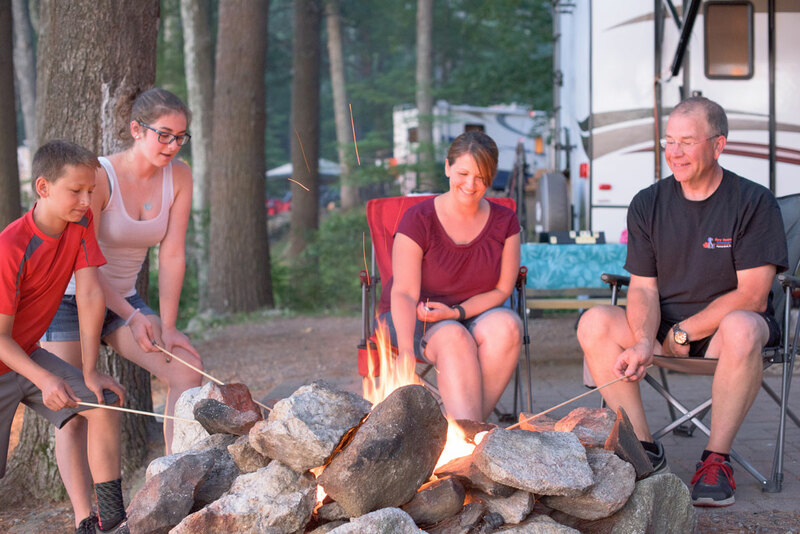 Separate families sharing a site using their own camping unit (doubling up) will be charged the regular nightly camping fee. Please note: NO check-ins after 9:00 PM. No early arrivals or late departures in peak season. Ready to Schedule Your Getaway?